The kids picked up right where they left off. Cutting cardboard with kid scissors is hard work. C. found a way to test which scissors work best. C.- “There’s nails in there! We gotta pull them out!" ​Students removed dangerous stapes and taping down tripping hazards. C.-(who is not part of the construction crew): "Good job guys!”"
Construction of the castle was completed at the end of Day 3. C. decided the castle needed a “hide and seek door” and N. wanted a bridge. The rest of the crew were more than happy to help out. They’ll have a chance to finish tomorrow. While they finished, the decorating crew met to talk about how they wanted to start. They felt that it would be a good idea to paint first. We made a plan of what colour to paint and where. They divided up the jobs and got to work. M.- "I hope I don’t fall." Mrs. Rauscher- "You missed a spot up there." The decorating crew were responsible for cleaning up their own messes. Thank goodness we had paint shirts. The painting crew worked so hard, they barely said a word. However, they got the job done and started planning for tomorrow – painting the bridge, making bricks, and adding sparkles and stickers. Three large boxes were brought into the classroom and left there for a week. The children were curious about the boxes and asked to interact with them. Some of the children wrote on the boxes, some glued paper onto the boxes, and some hid inside of the boxes. All of the children worked independently with no clear goal in mind. The following week, Mrs. Rauscher wanted to throw away the boxes as they were getting in the way. The children adamantly refused. Our first project of the year has begun! The grade 1 class had to collectively decide what they wanted to do with the boxes. Each child was given a piece of paper and asked to write down their idea and what the shape they wanted their idea to look like. All of the ideas were presented to the children and written on the board. Now it was time for a vote - the students were given the option to change their mind if they liked someone else’s idea better than their own. The children moved to various designated areas in the classroom to indicate their vote. The majority of votes went towards building a castle. Now we had to agree on how the boxes should be stacked to build our castle. Mrs. Rauscher drew diagrams of all the available options and the children were invited to come up and write their names on the shape that they liked best. Volunteers were asked to come up and count the votes on each piece of paper. You can see here which shape had the majority of votes. Now that the students had established what they wanted to build and how they wanted it to look, we decided to form committees to get this project underway. Three committees were formed: the building committee, the decorating committee, and the costume committee. The children met with their committees to discuss the things they would need to complete their job. A recorder was assigned in each group who was responsible for writing down their team mates ideas. While the children were engaged in discussion, Mrs. Rauscher used Google images to show the children different examples of castles to help inspire the students’ imaginations. The building team met one more time to go over their list of needed materials. They added some things that their classmates suggested and read the list out to Mrs. Rauscher so that she could gather the materials. The kids were anxious to get started and each grabbed scissors and tape. The kids each started cutting, forgetting the shape the boxes were supposed to take. It was chaos! We took a short time out to discuss what the original design was supposed to look like. The kids stacked the boxes to match their diagram. All at once the ideas started to flow. The construction crew independently broke into two groups: one worked on the 2 boxes that formed the bottom of the castle and the other worked on the top box. Her teammates immediately got to work solving the problem – they rotated the second box so that the flap of the second box would serve as a door for the first box. It was incredible to watch them independently and successfully solve problems by listening to the various ideas that their teammates came up with. The group working on the top of the castle wanted to make a pointy top just like the castles we saw on Google. They found a simple yet innovative way to accomplish this. Mrs Rauscher: Now what are you doing? C: We want a way to get into the top! Stay tuned for more updates about this project! 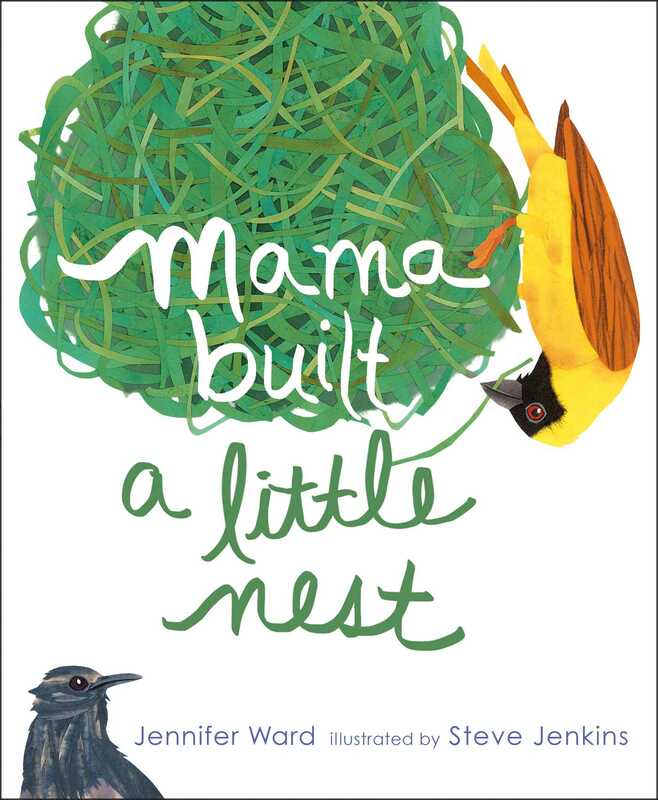 Our project began after we read the book, "Mama built a little nest", by Jennifer Ward. The children were so excited about nests that they began to make their own nests at recess. With all of this genuine interest, Miss Holman and Mr. Lantz knew they would have to take this idea further. First, we made a list, posing this problem to the children: what do birds need to make a nest? Success!!! And look what else we found! It’s made of big sticks and the children wondered if it was a bald eagle nest. Through research, we found that a bald eagle’s nest is much bigger. Whose nest could this be? How do we organize these materials? With no hesitation from the students, it was decided we needed to sort. While the kids were sorting, we heard and saw the most interesting things. “One stick is too big, one is too small.” -R.
“How about we each sort: you do twigs, you do sticks, you do moss.” -C.
“Hey look! I found a worm!” – K.
“This is the measuring board.” -B. “A burrowing owl can live in here!” -C.
“This grass pile is like a volcano!” -Z. “This is starting to look like a baby eagle nest.” -A. The nest has to be able to pass the “wind test”. If their nest fell apart after experiencing wind, they would have to rebuild. After all, birds’ nests don’t fall apart in the wind. Here are some pictures of what we accomplished on the first day. Can the nests survive the “wind test”? “Look how comfy mine is!” -T.
As Day 2 began, we took a moment to look at some real nests. Mrs. Sterling, Mr. Lantz, and Miss Holman had brought in some nests that we found abandoned at home. The children we asked to observe the nests and find something that they all had in common. Miss Holman put an egg in one of the nests and blew as hard as she could so that the egg would roll out – but it didn’t. When asked why, the children noticed something else. “It has walls!” one of the kids noticed. With that in mind, the children were sent back to their nests to make some adjustments. This time, they had to pass the egg test. If the egg falls out when the wind blows, they would have to fix the nest so that it wouldn’t. It was so amazing to watch the kids fine-tune what they had already created. After Day 2, the children thought they had the perfect nests and called it a day. “If there’s a mom and a dad, they both have a seat.” -J. “We’re gonna be cleaning up all day!” -E.
Now that our building is done, the children were challenged to use their imaginations to create a bird to live in their nest. The children drew a picture of what their bird would look like and what it would be called. The children did such a great job creating birds in their imaginations that we wondered what kind of egg their bird would lay. 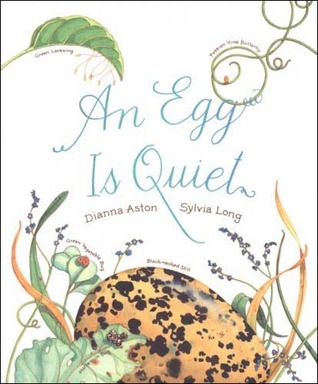 After reading “An Egg is Quiet” by Dianna Hutts Aston, the children learned that eggs can have many different colours, shapes, sizes, and textures. That was all the information we needed. The kids went straight to work. “Should’ve worn our dirty shirts!” – T. “It’s gucky to me and it’s fun!” - D.
“If you get us messy again, it’s your fault, and you’re going to have to talk to my mommy!” –S. “I’ve got to get messy, I’m a farm girl!” – C. “Miss Holman, I’m getting used to this!” - J. “Miss Holman, look at my spotted one!” –R. “Oops, sorry!” – M. “That’s okay. Anyway we ARE going to wash ourselves after.” -S.